WASHINGTON -- More than five decades of Cold War and lingering enmity have come to an end with the United States and Cuba restoring full diplomatic relations. The new era of U.S.-Cuba relations began with little fanfare as midnight Sunday passed into Monday in Washington and Havana and the terms of an agreement resuming full ties on July 20 came into force. 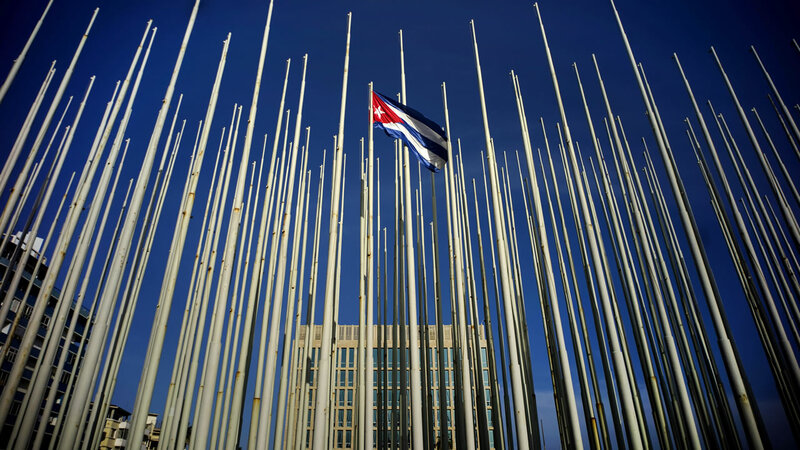 In pre-dawn hours, the Cuban flag will be hung quietly in the lobby of the State Department alongside those of other nations with which the U.S. has diplomatic relations. The shift will be publicly memorialized later Monday when Cuban officials formally reopen their embassy in Washington. Secretary of State John Kerry will then meet his Cuban counterpart and address reporters at a joint news conference.